This document defines the legal (contractual) relations between the User and SWIFTGAMES INC, Swiftgames.us, Swiftgames.org, Swiftgames International, SwiftGames, defines the legal (contractual) relations between SWIFTGAMES INC, Swiftgames.us, Swiftgames.org, Swiftgames International, SwiftGames and the Seller as well as defines legal relations between the User and the Selling User and between the User and the Seller. SWIFTGAMES INC, Swiftgames.us, Swiftgames.org, Swiftgames International, SwiftGames – the company SWIFTGAMES INC, Swiftgames.us, Swiftgames.org, Swiftgames International, SwiftGames or the company SwiftGames depending on which of them is a party to the agreement in accordance with further provisions of this Terms and Conditions. Site – a group of affiliated websites made available on the Internet from the address SWIFTGAMES INC, Swiftgames.us, Swiftgames.org, Swiftgames International, SwiftGames, or any other address linked to SwiftGames. Terms and Conditions – these terms and conditions, including attachments, encompassing a set of rules regulating the use of the Site and rights and obligations of Users, Sellers and SWIFTGAMES INC, Swiftgames.us, Swiftgames.org, Swiftgames International, SwiftGames, constituting terms and conditions for the provision of services via electronic means. Affiliate Marketing Program or Affiliate – a partnership program defined in separate regulations, allowing Users to search for persons purchasing products and services offered through the Site and to benefit from the situation where purchase of goods or services is made by a person found in this way. Seller – an entrepreneur operating in any form who sells its goods or services, especially game-codes in digital form to Users via the Site. The seller may also purchase goods/products from other Sellers via the Site. Durable Medium – any instrument which enables the User or the Seller or SWIFTGAMES INC, Swiftgames.us, Swiftgames.org, Swiftgames International, SwiftGames to store information addressed personally to him in a way accessible for future reference for a period of time adequate for the purpose of the information and which allows the unchanged reproduction of the information. 1.2 Members unable to conclude a legally binding agreement with SWIFTGAMES INC, Swiftgames.us, Swiftgames.org, Swiftgames International, SwiftGames, with the Selling Users or with the Sellers and those who are prohibited from using the services due to the regulations of the State or regional restrictions, including the country/region of current residence of the User and place of use of services, are hereby asked to refrain from using the Site. The User hereby confirms that he or she is at least eighteen (18) years old (or has reached another age which in light of his or her domestic law entitles the User to conclude legally binding agreements), has full capacity to take legal actions and agrees to these Terms and Conditions. Should the User act for and on behalf of a third party being a legal person, a so called non-corporate legal entity etc. – he or she hereby asserts SWIFTGAMES INC, Swiftgames.us, Swiftgames.org, Swiftgames International, SwiftGames that they are authorized to commit, enter into obligations and incur any liabilities related to the conclusion of this agreement for and on behalf of such person, and the acceptance of these Terms and Conditions by such User is of the same effect as if they were accepted by such third party. 1.3 The Seller hereby confirms that it is an entrepreneur and accepts these Terms and Conditions. Where the Seller uses the Site for and on behalf of a third party being a legal person, a so called non-corporate legal entity etc. – hereby asserts SWIFTGAMES INC, Swiftgames.us, Swiftgames.org, Swiftgames International, SwiftGames that he or she is authorized to commit, enter into obligations and incur any liabilities related to the conclusion of this agreement for and on behalf of such person, and the acceptance of these Terms and Conditions by such Seller is of the same effect as if they were accepted by such third party. The Seller states that there are no factual or legal grounds preventing him from the conclusion of this agreement with SWIFTGAMES INC, Swiftgames.us, Swiftgames.org, Swiftgames International, SwiftGames and the Users through the Site aimed at sales of products and services to the Users. 1.4 SWIFTGAMES INC, Swiftgames.us, Swiftgames.org, Swiftgames International, SwiftGames reserves its right to make any changes and modifications to these Terms and Conditions, including the right to introduce new provisions and delete the previous ones, which can be done unilaterally and at its own discretion and at any time through publication of the amended Terms and Conditions on the Site. Therefore it is the User’s obligation to check on a regular basis whether the Terms and Conditions were subject to amendments. By further using such Site and services you signify your agreement to be bound by all changes that may affect you. Unless explicitly stated otherwise, the amended Terms and Conditions shall come into effect immediately after their publication on the Site. The modifications of these Terms and Conditions become binding for the Sellers at the moment of publication of the amended Terms and Conditions on the Site. To all the agreements between SWIFTGAMES INC, Swiftgames.us, Swiftgames.org, Swiftgames International, SwiftGames and the Seller or between the User and SWIFTGAMES INC, Swiftgames.us, Swiftgames.org, Swiftgames International, SwiftGames which were signed before the modifications of these Terms and Conditions were introduced and which would be supposed to be realized after the moment in which the amended Terms and Conditions should enter into force – the Terms and Conditions from the not-amended (current) version are applied. 1.5 In the event that the Terms and Conditions are translated into any other language and there is any inconsistency between the English version and such translation, the English version shall prevail. 1.6 Users or Sellers may conclude with SWIFTGAMES INC, Swiftgames.us, Swiftgames.org, Swiftgames International, SwiftGames, via the Internet or otherwise, a separate agreement related to certain rights and obligations between them and SWIFTGAMES INC, Swiftgames.us, Swiftgames.org, Swiftgames International, SwiftGames (Additional Provisions). In case of any conflict or discrepancy between the Terms and Conditions and Additional Provisions, the Additional Provisions shall prevail over the Terms and Conditions unless explicitly provided otherwise in the Additional Provisions. 1.7 When using any services or sending e-mails to SWIFTGAMES INC, Swiftgames.us, Swiftgames.org, Swiftgames International, SwiftGames, the User and the Seller communicate with SWIFTGAMES INC, Swiftgames.us, Swiftgames.org, Swiftgames International, SwiftGames electronically. SWIFTGAMES INC, Swiftgames.us, Swiftgames.org, Swiftgames International, SwiftGames communicates with the Users and Sellers by e-mail or by posting notices on the Site or through their distribution via communication channels within other services. For contractual purposes, the User and the Seller consent to receive communications electronically and they agree that all agreements, notices, disclosures and other communications that SWIFTGAMES INC, Swiftgames.us, Swiftgames.org, Swiftgames International, SwiftGames electronically provides meet any legal requirements of such communication in writing. 1.8 As part of the Site – within the scope of agreements concluded between the Seller and the User or between the Selling User and the User – SWIFTGAMES INC, Swiftgames.us, Swiftgames.org, Swiftgames International, SwiftGames provides exclusively so called regular transfer, caching and hosting services (specified below in a), b) and c)). To such extent, SWIFTGAMES INC, Swiftgames.us, Swiftgames.org, Swiftgames International, SwiftGames renders services based on making available a computerized infrastructure to intermediate in data transmission and in the storage and sharing of data by Users and Sellers with SWIFTGAMES INC, Swiftgames.us, Swiftgames.org, Swiftgames International, SwiftGames. Can choose and modify the information contained in the transfer. Within this scope SWIFTGAMES INC, Swiftgames.us, Swiftgames.org, Swiftgames International, SwiftGames may conduct automatic and short-lasting or long term, indirect or direct storage of the transmitted data for the purpose of conducting transmission, and insuring a risk free exchange. c) SWIFTGAMES INC, Swiftgames.us, Swiftgames.org, Swiftgames International, SwiftGames makes available computerized system’s resources aimed at storage of data by Users and Sellers. 1.9 SWIFTGAMES INC, Swiftgames.us, Swiftgames.org, Swiftgames International, SwiftGames provides the Users and Sellers with a digital trading platform to exchange information on products and services with SWIFTGAMES INC, Swiftgames.us, Swiftgames.org, Swiftgames International, SwiftGames as the intermediary. In addition, SWIFTGAMES INC, Swiftgames.us, Swiftgames.org, Swiftgames International, SwiftGames provides the possibility of establishing, presenting and completing transactions between Users and Sellers via electronic means, including in particular the sales of games and game codes to Users by Sellers, between the Selling User and the User, as well as between Sellers. SWIFTGAMES INC, Swiftgames.us, Swiftgames.org, Swiftgames International, SwiftGames is neither a party to the agreement between the User and the Seller, nor between the Selling User and the User, nor between Sellers – it merely provides specific assistance and administration services to the Sellers and the Users. 1.10 Notwithstanding the provision in 1.9 above, SWIFTGAMES INC, Swiftgames.us, Swiftgames.org, Swiftgames International, SwiftGames also sells its own products and services through the Site. 1.13 With regards to each agreement being concluded within the Service, User gives his/her consent to fulfil the obligation before the date of the agreement withdrawal. Moreover, User is obliged to file the representation concerning the consent to fulfil the obligation before the date of the agreement withdrawal in a separate form (excluding this provision) after first Seller’s or SWIFTGAMES INC, Swiftgames.us, Swiftgames.org, Swiftgames International, SwiftGames’s request – in a situation when, on Seller’s clear demand, the obligation is to be fulfilled before the date of the agreement withdrawal. 1.14 User does not have a right to withdraw with regards to all the agreements which he/she concludes within the Service for providing digital content which is not recorded on a physical medium, in particular connected with the purchase of game codes. 1.15 The User, Buying User, Selling User and the Seller hereby agree on confirming or making available specific data in order to confirm their place of residence, headquarter or place of habitual residence if in doubt about this matter. The aforesaid agreement is connected with obligations and reporting tasks of SWIFTGAMES INC, Swiftgames.us, Swiftgames.org, Swiftgames International, SwiftGames (if this company is a party to the agreements referred to in this paragraph) in relation to Value Added Tax in particular under art. 58 of Council’s Directive 2006/112/WE and the Implementing Regulations no 282/2011 and 1042/2013. 2.1 Joining SWIFTGAMES INC, Swiftgames.us, Swiftgames.org, Swiftgames International, SwiftGames and buying items on sale through the Site is free of charge for the Users. The Users are charged only for the use of selected payment channels or for payments and commissions due to SWIFTGAMES INC, Swiftgames.us, Swiftgames.org, Swiftgames International, SwiftGames. The amount charged is listed on the payment selection page. SWIFTGAMES INC, Swiftgames.us, Swiftgames.org, Swiftgames International, SwiftGames shall collect its commission from each sale price of a given product specified by the Seller or the Selling User. The commission may vary depending on the payment provider used to finalize the transaction. Moreover, the commission is different for Selling Users and for Sellers. SWIFTGAMES INC, Swiftgames.us, Swiftgames.org, Swiftgames International, SwiftGames also charges a fee for payouts done by Selling users and Sellers. This is mainly caused by the need to cover the bank or payment provider fees that SWIFTGAMES INC, Swiftgames.us, Swiftgames.org, Swiftgames International, SwiftGames has to pay for the payout operation. The fee varies depending on whether the payment is to be made via the payment provider or directly to the bank account of the Seller or the Selling User. SWIFTGAMES INC, Swiftgames.us, Swiftgames.org, Swiftgames International, SwiftGames also charges a fee for putting a product on sale via the Site. Once an item is placed up for sale SwiftGames holds all rights for pricing each item on the SWIFTGAMES INC, Swiftgames.us, Swiftgames.org, Swiftgames International, SwiftGames site. 2.2 The amount of the commission referred to in point 2.1. SWIFTGAMES INC, Swiftgames.us, Swiftgames.org, Swiftgames International, SwiftGames may add the amount of Value Added Tax valid at the place of residence, headquarter or place of habitual residence on the territory of the European Union which is connected with obligations of SWIFTGAMES INC, Swiftgames.us, Swiftgames.org, Swiftgames International, SwiftGames in relation to Value Added Tax in conformity with Community Law, in particular with those referred to in paragraph 1.15. The Selling User and the Seller gives his/hers consent to SWIFTGAMES INC, Swiftgames.us, Swiftgames.org, Swiftgames International, SwiftGames for adding to the price referred to in point 2.1. the amount of Value Added Tax valid at the place of residence, headquarter or place of habitual residence on the territory of the European Union of the Buying User who does not run a business activity. The aforesaid consent is connected with obligations of SWIFTGAMES INC, Swiftgames.us, Swiftgames.org, Swiftgames International, SwiftGames in relation to Value Added Tax in conformity with Community Law, in particular with those referred to in paragraph 1.15. In the present case the amount of the commission collected by SWIFTGAMES INC, Swiftgames.us, Swiftgames.org, Swiftgames International, SwiftGames shall be calculated on the amount of the selling price without including the amount of Value Added Tax. 2.3 The prices specified for each product or service do not form part of these Terms and Conditions and they may be subject to change before the User purchases a particular product or service. SWIFTGAMES INC, Swiftgames.us, Swiftgames.org, Swiftgames International, SwiftGames reserves its right to temporarily suspend the Service Fees for promotional purposes or for development of new services. Such changes become effective once a temporary promotional period or new service is announced on the Site. 2.4 All fees are denominated in the choice of SWIFTGAMES INC, Swiftgames.us, Swiftgames.org, Swiftgames International, SwiftGames The User and the Seller are obliged to pay such fees and taxes relating to his/her use of the services available on the Site on time. The User and the Seller are obliged in particular to pay due taxes, fees or other due amounts required in connection to the agreements concluded via the Site on their own. If certain payment method shall fail or an invoice is overdue, SWIFTGAMES INC, Swiftgames.us, Swiftgames.org, Swiftgames International, SwiftGames reserves its right to demand payment by way of other method of payment including all possible additional costs of such method. 2.5 The User and the Seller should sign in to access and use the Site and all its functionalities. 2.6 Services (or any other functionalities incorporated into the Site) can be different for different countries or regions. No guarantee is given to the effect that a service or functionality of a certain type or reach will be available for all Users. SWIFTGAMES INC, Swiftgames.us, Swiftgames.org, Swiftgames International, SwiftGames may, at its absolute discretion, restrict, decline or create another level of access relating to the use of services (or any other functionality incorporated into the Site) for different individual Users. 2.7 The Users may make payments within the payment solutions available on the Site. All the payment solutions are described within the Site. 2.8 Any User (or Seller) demanding settlement through one of the payment systems agrees thereby for the payment to be made through sites covering the payment systems and states that he/she has read and accepted the terms and conditions available on such websites. To the extent permitted by law, SWIFTGAMES INC, Swiftgames.us, Swiftgames.org, Swiftgames International, SwiftGames shall not be liable against the Users (or Sellers) for any problems related to payments for which the owners of such sites are responsible, in particular for any delays in processing payments or inability to process them for technical reasons. If the payment has not been accepted due to SWIFTGAMES INC, Swiftgames.us, Swiftgames.org, Swiftgames International, SwiftGames fault, the User shall inform SWIFTGAMES INC, Swiftgames.us, Swiftgames.org, Swiftgames International, SwiftGames thereof by sending an e-mail through the site. 2.9 The User and the Seller give their consent to SWIFTGAMES INC, Swiftgames.us, Swiftgames.org, Swiftgames International, SwiftGames to transfer personal data of the User or the Seller, such as name, surname, address, as well as other data, such as the bank account number, to the payment services mentioned in 2.6 above, including the consent to processing these data by the payment services in order to realise the transaction in the form of the payment from the User to the Seller or the Selling User. 2.10 The User and Seller assert that he/she shall pay for any products and services offered on the Site with use of funds coming from legal sources. 2.11 The User asserts that he/she is not the VAT taxpayer. When the User becomes or already is the VAT taxpayer, he is obliged to provide all the data required to issue the VAT invoice by SWIFTGAMES INC, Swiftgames.us, Swiftgames.org, Swiftgames International, SwiftGames. Such an invoice shall be sent to the User’s email address. 2.12 The User is aware and hereby acknowledges that placing an order connected with purchase the game codes via the Site entails an obligation to pay. 3.2 SWIFTGAMES INC, Swiftgames.us, Swiftgames.org, Swiftgames International, SwiftGames is entitled to verify the data of the User or the Seller by requesting from the User or the Seller presentation of proper documents, their copies, scans, etc. In particular, SWIFTGAMES INC, Swiftgames.us, Swiftgames.org, Swiftgames International, SwiftGames may request from natural persons not being entrepreneurs a scan of an identification document, and from natural persons being entrepreneurs, from legal persons, as well as from organisation units being the Sellers, presentation of proper documents which would confirm: the company address, being entered in the proper register, authorisation to represent the natural person or organisation unit, as well as to enter into obligations on his/her behalf for a person registering on the Site, VAT identification number and contact data such as phone number or email address. The documents (their scans of copies) confirming the above data shall be provided within 14 days since the day, on which SWIFTGAMES INC, Swiftgames.us, Swiftgames.org, Swiftgames International, SwiftGames requested providing them from a person intending to register on the Site. The lack of providing these documents (their scans or copies) may constitute the reason to refuse registration on the Site. SWIFTGAMES INC, Swiftgames.us, Swiftgames.org, Swiftgames International, SwiftGames may also request proper documents (their scans or copies) after registration of the User or the Seller – in that case the lack of providing the documents (their scans or copies) may constitute the reason to block the account of a given Seller or User or result in inability to sell the products or services via the Site by the Seller or the Selling User. 3.6 The account is made available to the User by SWIFTGAMES INC, Swiftgames.us, Swiftgames.org, Swiftgames International, SwiftGames free of charge and allows him or her to use the services offered through the Site, which is possible from any place in the world via the Internet network. 3.7 In case of any violation of these Terms and Conditions and the law in force by the User, SWIFTGAMES INC, Swiftgames.us, Swiftgames.org, Swiftgames International, SwiftGames reserves its right and possibility to block the User’s account. 3.8 Within the scope permitted by law, SWIFTGAMES INC, Swiftgames.us, Swiftgames.org, Swiftgames International, SwiftGames reserves the possibility of temporary unavailability of the access to the Site or to accounts, which may occur due to modernization works conducted or technical problems. Where technical problems arise, SWIFTGAMES INC, Swiftgames.us, Swiftgames.org, Swiftgames International, SwiftGames hereby commits to deal with them as soon as possible. 3.9 The User acknowledges that sharing their account with other people or giving access thereto to many persons other than the User’s personnel may cause irreversible damage to SWIFTGAMES INC, Swiftgames.us, Swiftgames.org, Swiftgames International, SwiftGames, Sellers or other Users. 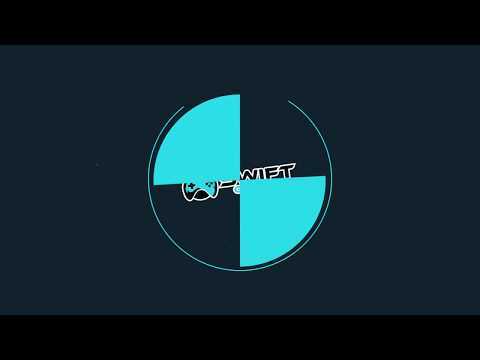 The User is obliged to protect SWIFTGAMES INC, Swiftgames.us, Swiftgames.org, Swiftgames International, SwiftGames and our partners against losses and damage caused by the use of their account by third parties. 3.12 In case of any violation of these Terms and Conditions and the law in force, etc. by the Seller, SWIFTGAMES INC, Swiftgames.us, Swiftgames.org, Swiftgames International, SwiftGames reserves its right and possibility to block the Seller’s account. Provisions 3.8 and 3.9 above are applied do the Sellers’ accounts respectively. 3.13 The User and the Seller shall neither use other Users’ and Sellers’ accounts nor make their accounts available to other Users, Sellers or third parties. The above does not apply to the Seller in terms of making his/her account available to the persons entitled to act on his/her behalf and his/her employees, who are entitled by the Seller to use the account on the Site. SWIFTGAMES INC, Swiftgames.us, Swiftgames.org, Swiftgames International, SwiftGames may request from the Seller a list of persons entitled to use the account, which the Seller shall deliver within 7 days. 3.14 To the extent permitted by law, SWIFTGAMES INC, Swiftgames.us, Swiftgames.org, Swiftgames International, SwiftGames assumes no responsibility against the Users and the Sellers, should they violate the provision specified in 3.13 above. The Users and the Sellers assume responsibility for actions and outcomes of actions of persons, whom they provided with the access to the account, in particular for the actions undertaken on the Site. 4.1 Subject to your compliance with the Terms and Conditions and your payment of any applicable fees, SWIFTGAMES INC, Swiftgames.us, Swiftgames.org, Swiftgames International, SwiftGames or the Sellers, as the case may be, grant the Users (or other Sellers) a limited, non-exclusive, non-transferable, non-sublicensable license to access and make personal and non-commercial use of the services offered by SWIFTGAMES INC, Swiftgames.us, Swiftgames.org, Swiftgames International, SwiftGames (or the Sellers). 4.2 All rights not expressly granted to you in these Terms and Conditions are reserved and retained by SWIFTGAMES INC, Swiftgames.us, Swiftgames.org, Swiftgames International, SwiftGames or its owners, licensors, suppliers, publishers or other authorized persons. 4.3 You may not misuse the SWIFTGAMES INC, Swiftgames.us, Swiftgames.org, Swiftgames International, SwiftGames services. 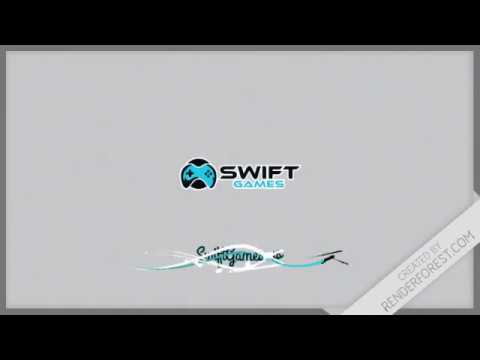 You may use the SWIFTGAMES INC, Swiftgames.us, Swiftgames.org, Swiftgames International, SwiftGames services only as permitted by law and the Users and Sellers are not allowed to use them in order to violate the law or third party rights, in particular any copyright, intellectual property rights or personality rights. 4.4 Any texts, graphic materials, interactive functions, logos, photographies, files, software and any other materials on the Site, except for those uploaded, transmitted, made available, published by Users or Sellers, as well as the selection, organization, coordination, compilation of the materials and the general outline and nature of the Site constitute intellectual property of SWIFTGAMES INC, Swiftgames.us, Swiftgames.org, Swiftgames International, SwiftGames. They are protected by copyrights, trademarks, patents, industrial design rights and other rights and provisions, including international conventions and property rights. Any such rights are reserved for SWIFTGAMES INC, Swiftgames.us, Swiftgames.org, Swiftgames International, SwiftGames. Any trademarks, marks and trade names constitute SWIFTGAMES INC, Swiftgames.us, Swiftgames.org, Swiftgames International, SwiftGames property. Without explicit consent of SWIFTGAMES INC, Swiftgames.us, Swiftgames.org, Swiftgames International, SwiftGames , the User nor the Seller must not: duplicate, copy, download, disseminate, sell, distribute or resell any services, information, texts, graphics, video clips, sounds, screenplays, files, databases or lists whatsoever available on or via the Site nor use them otherwise. It is forbidden to retrieve the Site Content systematically to create or compile, either directly or indirectly, a collection, compilation, database and catalogue (by using robots, search engines, automatic or manual devices) without written permission of SWIFTGAMES INC, Swiftgames.us, Swiftgames.org, Swiftgames International, SwiftGames. The use of any content or materials available from the Site for purposes not specified in the Terms and Conditions is forbidden, especially any use, publication, copying in any form – whether electronic, mechanic, photographic or other. All Rights Reserved. These materials constitute Works within the meaning of article 1 of the Act on copyright and is subject to protection under the Act on copyright and related rights of February 4th, 1994. Furthermore the Works are protected under international law on the basis of the Universal Copyright Convention signed in 1952 in Geneva and the Berne Convention of 1886 together with the Stockholm entry of 1972 and 1979 amendments. 4.8 By posting or publishing their own content and materials on the Sites or by distributing them in any other way to SWIFTGAMES INC, Swiftgames.us, Swiftgames.org, Swiftgames International, SwiftGames or its partners, the User and the Seller, within the scope permitted by law, grants an irrevocable, permanent and free licence, to use the said materials in any way and in any place by SWIFTGAMES INC, Swiftgames.us, Swiftgames.org, Swiftgames International, SwiftGames. The license also covers the right to present, transmit, distribute, reproduce, publish, duplicate, adapt, modify, translate, create content related to or otherwise use the User content in any way and for any purpose whatsoever that might be beneficial to the operation of SWIFTGAMES INC, Swiftgames.us, Swiftgames.org, Swiftgames International, SwiftGames, currently or in the future. The User acknowledges and warrants to SWIFTGAMES INC, Swiftgames.us, Swiftgames.org, Swiftgames International, SwiftGames that he/she has sufficient means and rights to ensure such licence. 4.9 Selling such items/products as game accounts or other accounts (including selling of login and password), which are not designated for sell according to third party regulations and policies, is prohibited. 5.1 Under the condition of meeting the requirements specified in these Terms and Conditions by the Seller and the Selling User, SWIFTGAMES INC, Swiftgames.us, Swiftgames.org, Swiftgames International, SwiftGames shall provide every Selling User and Seller with the opportunity to sell the product on the Site. 5.2 Unless otherwise provided by these Terms and Conditions, the Seller and the Selling User may only sell on the Site products in the digital form, i.e. such products which may be downloaded by the Users to their workstations’ hard drive. Such products are not storage on a material media carriers. 5.3 SWIFTGAMES INC, Swiftgames.us, Swiftgames.org, Swiftgames International, SwiftGames determines the price of products which Sellers / Selling Users intends to sell on the Site. Subject to point 2.1 above, SWIFTGAMES INC, Swiftgames.us, Swiftgames.org, Swiftgames International, SwiftGames collects its commission or other possible fees (if such are due) from the amount of such a price. The Users and the Sellers acknowledge and accept the fact that SWIFTGAMES INC, Swiftgames.us, Swiftgames.org, Swiftgames International, SwiftGames may, as part of Additional Provisions mentioned in 1.6 above, set with a given Selling User or Seller commissions and fees being other from those defined in these Terms and Conditions including possible attachments. 5.4 Offering the product sales by the Seller or the Selling User on the Site equals the consent to sell it on the Site and constitutes a sales offer in relation to the civil law. The offer is valid for an indefinite period, till the purchase of the product by the User or other Seller. Provided that no User (or other Seller) has accepted the offer, The Seller or the Selling User may not change the product price. In case of a price change, provisions defined in 5.3 above are directly applied. The Seller and the Selling User acknowledge and accept that the product prices and descriptions are made public and are available for all Users of the Site. 5.5 Moreover, the Parties mutually agree that their due payments made by the Users (or Sellers shall be paid by these Users (or Sellers) by means of a chosen payment channel set by SWIFTGAMES INC, Swiftgames.us, Swiftgames.org, Swiftgames International, SwiftGames to the bank account of SWIFTGAMES INC, Swiftgames.us, Swiftgames.org, Swiftgames International, SwiftGames. The Seller and the Selling User hereby entitle SWIFTGAMES INC, Swiftgames.us, Swiftgames.org, Swiftgames International, SwiftGames to charge the Users (or Sellers) the full due amount to the bank account of SWIFTGAMES INC, Swiftgames.us, Swiftgames.org, Swiftgames International, SwiftGames. From the funds collected on its account, SWIFTGAMES INC, Swiftgames.us, Swiftgames.org, Swiftgames International, SwiftGames deducts its due commissions and fees from the Seller and the Selling User, by retaining its amount on the SWIFTGAMES INC, Swiftgames.us, Swiftgames.org, Swiftgames International, SwiftGames’s bank account, whereas the remaining part shall be transferred to the Seller’s or the Selling User’s bank account. The Seller and the Selling User agree that the transfer of the payment to the Seller or the Selling User shall follow within 30 days from the date of the funds reaching the SWIFTGAMES INC, Swiftgames.us, Swiftgames.org, Swiftgames International, SwiftGames’s bank accounts. The Seller and the Selling User agree that the payment transfer for the Seller shall follow within 30 days after the money reaching the SWIFTGAMES INC, Swiftgames.us, Swiftgames.org, Swiftgames International, SwiftGames’s bank account and after setting the payout with chosen payout option; for the Selling User within 14 days after the moneys reaching the SWIFTGAMES INC, Swiftgames.us, Swiftgames.org, Swiftgames International, SwiftGames’s bank account. 5.6 The commission paid by the Seller to SWIFTGAMES INC, Swiftgames.us, Swiftgames.org, Swiftgames International, SwiftGames is non-returnable, in particular in a situation when the payment, which shall be settled in relation to these Terms and Conditions, made by the User (or other Seller) for products or services purchased, would have to be returned by the Seller to the User (or other Seller) (e.g. as a result of the User’s complaint caused by faults of the products or services provided by the Seller). Due to the commission being non-returnable, the Seller is not entitled to claim any compensation from SWIFTGAMES INC, Swiftgames.us, Swiftgames.org, Swiftgames International, SwiftGames. Moreover, SWIFTGAMES INC, Swiftgames.us, Swiftgames.org, Swiftgames International, SwiftGames may retain on its bank account the sums of back commissions, contractual penalties, costs which the Seller shall cover or compensations owed from the Seller. 5.7 The provision included in 5.6 above does not concern the Selling Users. In their case, SWIFTGAMES INC, Swiftgames.us, Swiftgames.org, Swiftgames International, SwiftGames undertakes investigation (especially compensatory investigation defined in 10 below) in order to clarify the reasons for demanding refund to the User. Depending on the conclusions of such investigation, the funds shall be returned by the Selling User (including transfer of the funds from the SWIFTGAMES INC, Swiftgames.us, Swiftgames.org, Swiftgames International, SwiftGames’s bank account to the User, instead of to the Selling User’s bank account) or shall not be returned to the User, who may vindicate his claims against the Selling User at court or in any other way. 5.8 Excluding the examples defined above, SWIFTGAMES INC, Swiftgames.us, Swiftgames.org, Swiftgames International, SwiftGames is entitled to dispose of and manage the funds transferred by the Users/Sellers in relation to purchases of products or services from the Seller or the Selling User. 5.9 The Seller and/or the Selling User give SWIFTGAMES INC, Swiftgames.us, Swiftgames.org, Swiftgames International, SwiftGames their consent to prepare descriptions of products put on sale on the Site – basing on the information provided by the Seller or the Selling User. The Seller and the Selling User are obliged to provide reliable and complete information needed to prepare the product descriptions, in compliance with real product features such as quality, producer or brand. SWIFTGAMES INC, Swiftgames.us, Swiftgames.org, Swiftgames International, SwiftGames is obliged to prepare reliable product descriptions, corresponding to the product’s content. The product descriptions are available for every product. However SWIFTGAMES INC, Swiftgames.us, Swiftgames.org, Swiftgames International, SwiftGames assumes no responsibility for the compliance of the product description with its content, in a situation when the Seller or the Selling User misinforms SWIFTGAMES INC, Swiftgames.us, Swiftgames.org, Swiftgames International, SwiftGames regarding the product, its access to a given gaming platform, etc. The Seller and the Selling User hereby entitle SWIFTGAMES INC, Swiftgames.us, Swiftgames.org, Swiftgames International, SwiftGames to use the information defined here and provided by them free of charge, to prepare descriptions of products being sold, including modifications, alterations, translation of this content into other languages, etc. 5.10 SWIFTGAMES INC, Swiftgames.us, Swiftgames.org, Swiftgames International, SwiftGames shall provide the Users and the Sellers with technical support in case of encountering problems with the functionality of the Site or Account. 5.11 SWIFTGAMES INC, Swiftgames.us, Swiftgames.org, Swiftgames International, SwiftGames reserves the right to refuse to issue a replacement or refund if in SWIFTGAMES INC, Swiftgames.us, Swiftgames.org, Swiftgames International, SwiftGames ’s sole discretion SWIFTGAMES INC, Swiftgames.us, Swiftgames.org, Swiftgames International, SwiftGames detects that a User has engaged in fraud, deception or abuse of the SWIFTGAMES INC, Swiftgames.us, Swiftgames.org, Swiftgames International, SwiftGames . Moreover, in the event that SWIFTGAMES INC, Swiftgames.us, Swiftgames.org, Swiftgames International, SwiftGames detects a User has engaged in fraud, deceit or abuse SWIFTGAMES INC, Swiftgames.us, Swiftgames.org, Swiftgames International, SwiftGames reserves the right to reverse any refund already issued including withdrawal. g) they will not use the Site for any money laundering related activities nor for any actions providing to SWIFTGAMES INC, Swiftgames.us, Swiftgames.org, Swiftgames International, SwiftGames the risk of being accused of using the Site for money laundering purposes. h) will not use the Site to resell products which were acquired free of charge or with a discount connected with a charity event or supporting such an event. will not become involved in any action that might otherwise render SWIFTGAMES INC, Swiftgames.us, Swiftgames.org, Swiftgames International, SwiftGames or our partners liable, in particular these specified in section 4.7 above. 6.6 The Seller agrees to provide all necessary information, materials and permissions and all reasonable support and cooperation to SWIFTGAMES INC, Swiftgames.us, Swiftgames.org, Swiftgames International, SwiftGames customer care department for SWIFTGAMES INC, Swiftgames.us, Swiftgames.org, Swiftgames International, SwiftGames to provide its services depending on whether or not the Seller has violated the Terms and Conditions and/or a complaint against the User has been filed. If failure to do so is caused by any delay, suspension or denial of access to any Service, SWIFTGAMES INC, Swiftgames.us, Swiftgames.org, Swiftgames International, SwiftGames will not be obliged to extend the term of such a service or held liable for any loss or damage caused by such a delay, suspension or denial. 6.8. The Seller may provide the aforementioned information through SWIFTGAMES INC, Swiftgames.us, Swiftgames.org, Swiftgames International, SwiftGames and SWIFTGAMES INC, Swiftgames.us, Swiftgames.org, Swiftgames International, SwiftGames may only pass the information without making any alterations. 6.9. The Seller is obliged to provide the User from European Union being a consumer with the confirmation of the contract concluded, on a durable medium within a reasonable time after the conclusion of the contract. Such confirmation should contain information referred to in point 6.7 above unless the Seller has provided that information to the User on a durable medium prior to the conclusion of the distance contract. The aforementioned information through SWIFTGAMES INC, Swiftgames.us, Swiftgames.org, Swiftgames International, SwiftGames and SWIFTGAMES INC, Swiftgames.us, Swiftgames.org, Swiftgames International, SwiftGames may only pass the information without making any alterations. 6.10 The obligation referred to in point 6.7. and 6.9. above are binding for SWIFTGAMES INC, Swiftgames.us, Swiftgames.org, Swiftgames International, SwiftGames only towards the Users from European Union being consumers and only in respect of contracts concluded after 24th December, 2014 the subject matter of which is to provide a teleinformatic platform and certain functions of the Site. 6.11. The obligation referred to in point 6.7. and 6.9. above are binding for SWIFTGAMES INC, Swiftgames.us, Swiftgames.org, Swiftgames International, SwiftGames only towards the Users from European Union being consumers and only in respect of contracts concluded after 24th December, 2014 on the basis of which SWIFTGAMES INC, Swiftgames.us, Swiftgames.org, Swiftgames International, SwiftGames sales game codes to the Users. any harm, damages, claims, compensation, non-pecuniary damages, physical and legal defects of products and services sold through the Site by Sellers against Users or other Sellers – owing to the fact that within such scope, SWIFTGAMES INC, Swiftgames.us, Swiftgames.org, Swiftgames International, SwiftGames is not a party to such legal relationship. 7.2 SWIFTGAMES INC, Swiftgames.us, Swiftgames.org, Swiftgames International, SwiftGames shall not in particular bear any responsibility against any third parties related in particular to nonperformance or improper performance by the Seller of his agreement with the User (or other Seller), or to any delict committed by the Seller, any infringement by the Seller of the law in force or related to any false information, assurances or statements submitted by the Seller. Should any claims, complaints, petitions, pretensions, etc. be directed by third parties to SWIFTGAMES INC, Swiftgames.us, Swiftgames.org, Swiftgames International, SwiftGames, related to Sellers’ behavior specified in section 7.1. above, the Seller is obliged to take full responsibility against these entities, which means in particular that the Sellers shall bear all and any costs related thereto and borne by SWIFTGAMES INC, Swiftgames.us, Swiftgames.org, Swiftgames International, SwiftGames or to which SWIFTGAMES INC, Swiftgames.us, Swiftgames.org, Swiftgames International, SwiftGames will be forced through any kind of commitment, including where legal advice will be sought or any fees, damages, fines, penalties, notice charges, charges related to personal presence at court or in front of any authority and public administration body, correspondence costs and any other possible charges, fees, etc. Moreover, where third parties file any claims against SWIFTGAMES INC, Swiftgames.us, Swiftgames.org, Swiftgames International, SwiftGames related to any violations on part of the Seller, in particular violation of copyrights, such Seller shall replace SWIFTGAMES INC, Swiftgames.us, Swiftgames.org, Swiftgames International, SwiftGames in such proceedings or shall act as a third party respondent. The provision 7.2 is accordingly applied to the Selling Users to the extent, which does not infringe the consumer rights. 7.3 Furthermore SWIFTGAMES INC, Swiftgames.us, Swiftgames.org, Swiftgames International, SwiftGames does not guarantee that any Seller and User are capable of concluding an agreement through the Site, and in particular that such agreement will be performed. SWIFTGAMES INC, Swiftgames.us, Swiftgames.org, Swiftgames International, SwiftGames is not responsible against Users and Sellers for any non-performance or improper performance of the agreement neither by the User against the Seller and the User against the Selling User nor by the Seller against the User and the Selling User against the User, nor the Seller against other Seller. SWIFTGAMES INC, Swiftgames.us, Swiftgames.org, Swiftgames International, SwiftGames shall not be liable against the Users (or other Sellers) for the products and services sold through the Site by the Sellers and the Selling Users, including for whether they are fit for purpose, for their quality, legality, legal and physical defects. SWIFTGAMES INC, Swiftgames.us, Swiftgames.org, Swiftgames International, SwiftGames shall not be liable against the Sellers and the Selling Users for the correctness and validity of any statements made by the Users/Sellers, for their solvency or ability to conclude agreements with Sellers through the Site. Where there is reasonable probability that the Seller undertook actions which may be detrimental to SWIFTGAMES INC, Swiftgames.us, Swiftgames.org, Swiftgames International, SwiftGames and/or its partners in terms of their assets or legal liability. 7.5 To the fullest extent permitted by law, all services provided by SWIFTGAMES INC, Swiftgames.us, Swiftgames.org, Swiftgames International, SwiftGames on or via the Site are made available on an AS IS, IF AVAILABLE, and WITH ALL DEFECTS basis, and SWIFTGAMES INC, Swiftgames.us, Swiftgames.org, Swiftgames International, SwiftGames hereby expressly declines all warranties, including but not limited to any warranty of condition, quality, durability, functioning, reliability, merchantability or suitability for any specific purpose of the products and services sold by the Sellers or the Selling Users or sold by itself, unless consumers rights protection laws provide otherwise. 7.6 To the fullest extent permitted by law, SWIFTGAMES INC, Swiftgames.us, Swiftgames.org, Swiftgames International, SwiftGames does not make any representation or give any warranty in relation to the quality, manufacturing, import, export, distribution, offering, presentation and/or use of any products or services offered on the Site nor does SWIFTGAMES INC, Swiftgames.us, Swiftgames.org, Swiftgames International, SwiftGames take any responsibility for any potential infringements of third party rights related to the use of any services or products available through the Site. 7.7 Notwithstanding the foregoing, the total liability of SWIFTGAMES INC, Swiftgames.us, Swiftgames.org, Swiftgames International, SwiftGames against the Sellers is limited to the amount of EUR 0.00 the foregoing sentence does not waive the need to prove and document the respective damage alleged to be sustained by the Seller. All claims arising from the use of the Sites or services have to be raised within fourteen (14) days after the date on which a problem occurs. In countries where limitation of liability against consumers is possible, the terms of the first and second sentence of this section shall apply accordingly. 7.8 The limitations and exclusions of liability under the Terms and Conditions apply to the fullest extent permitted by law and will be effective regardless of giving notice to SWIFTGAMES INC, Swiftgames.us, Swiftgames.org, Swiftgames International, SwiftGames that such damage may occur. 8.1 Users/Sellers are personally responsible for observing all the terms and conditions of transactions conducted on, via or as a result of using the Site or services, in particular the Terms and Conditions and other commitments. This also includes, but is not limited to, payment terms, warranty, returns, delivery, time of delivery, insurance, fees, taxes, licences, or penalties. 8.2 The User/Seller agrees to provide all necessary information and documents that may be required in connection with transactions and other obligations under these Terms and Conditions. 8.3 By purchasing an activation code the User does not acquire copyright or ownership of the corresponding game or software connected with the use of the game. 9. Forbidden Actions – Anti Violation Procedures (a so called notice and takedown procedure). e) a personal data processing statement consenting to processing for the purposes of the notice and takedown procedure (such statement shall be delivered in writing to the address specified in ‘Definitions’ of these Terms and Conditions where ‘SWIFTGAMES INC, Swiftgames.us, Swiftgames.org, Swiftgames International, SwiftGames’ is defined). 9.2 Following the receipt of a credible notification specified above, SWIFTGAMES INC, Swiftgames.us, Swiftgames.org, Swiftgames International, SwiftGames shall immediately block access to the data indicated in the notification (in particular, it shall delete them) and – as far as possible – it will notify the Seller or the Selling User responsible for uploading the data through the Site, that such notification and claim by a third party has been submitted. 9.3 The Seller or the Selling User who has received notification mentioned in section 2 above may submit its reply and evidence confirming its rights to distribute, make available etc. the data, in particular evidencing copyrights, licenses or ownership rights to the games and game codes. Any agreements between the parties allowing for the data to be uploaded back to the Site shall be made in writing, signed by the authorized persons and sent as an original via registered mail to the address specified in ‘Definitions’ of these Terms and Conditions where ‘SWIFTGAMES INC, Swiftgames.us, Swiftgames.org, Swiftgames International, SwiftGames’ is defined. 9.5 Where it is not possible to determine the Seller or the Selling User responsible for publication of third party’s data, their distribution etc. on the Site or the Seller or Selling User does not submit any reply to the notification of third party’s claim within 14 days from its receipt from SWIFTGAMES INC, Swiftgames.us, Swiftgames.org, Swiftgames International, SwiftGames to the Seller’s or Selling User’s e-mail address or does not submit any evidence on having rights to publish, distribute the data etc. within that period, such data will be permanently removed from the Site. 9.6 Where any notification is received from competent authorities or credible information is submitted on the illegal nature of the data available on the Site, SWIFTGAMES INC, Swiftgames.us, Swiftgames.org, Swiftgames International, SwiftGames will immediately disable any access to such data. 9.7 SWIFTGAMES INC, Swiftgames.us, Swiftgames.org, Swiftgames International, SwiftGames reserves the right to, at its own initiative, remove specific data from the Site or prohibit transmitting, posting or storing etc. if we find them illegal or unlawful. 9.8 SWIFTGAMES INC, Swiftgames.us, Swiftgames.org, Swiftgames International, SwiftGames can prevent adding certain data or selling certain products on the Site if they receive reliable information that such actions are in conflict with the Terms & Conditions or statements given by the Seller or the Selling User. 10.1 Both the User and the Seller have the right to file complaints connected with the services provided by SWIFTGAMES INC, Swiftgames.us, Swiftgames.org, Swiftgames International, SwiftGames. All complaints should be sent digitally via the contact form available at swiftgames.us or .org or in a written form to the address of SWIFTGAMES INC, Swiftgames.us, Swiftgames.org, Swiftgames International, SwiftGames indicated in the Chapter “Definitions” of this Terms and Conditions. All complaints shall be resolved within 30 days from the date of their delivery to SWIFTGAMES INC, Swiftgames.us, Swiftgames.org, Swiftgames International, SwiftGames. Replies shall be sent to the e-mail address from which the complaint has been received or any other given by the complaining party. 10.2 If the User has complaints about the product he/she has bought, he/she may file a complaint to SWIFTGAMES INC, Swiftgames.us, Swiftgames.org, Swiftgames International, SwiftGames with the help of SWIFTGAMES INC, Swiftgames.us, Swiftgames.org, Swiftgames International, SwiftGames. In such case SWIFTGAMES INC, Swiftgames.us, Swiftgames.org, Swiftgames International, SwiftGames helps in initiating the complaint procedure and resolve the complaint to the satisfaction of SWIFTGAMES INC, Swiftgames.us, Swiftgames.org, Swiftgames International, SwiftGames. This does not apply to products sold and owned by SWIFTGAMES INC, Swiftgames.us, Swiftgames.org, Swiftgames International, SwiftGames – in this case SWIFTGAMES INC, Swiftgames.us, Swiftgames.org, Swiftgames International, SwiftGames resolves the complaint. 11.4 Products that have been retrieved from the Site (or any other website where it can be retrieved) are considered used and may not be refunded. 11.5 If for any reason the product purchased by the User cannot be used/activated it is the Users responsibility to inform SWIFTGAMES INC, Swiftgames.us, Swiftgames.org, Swiftgames International, SwiftGames of this fact. SWIFTGAMES INC, Swiftgames.us, Swiftgames.org, Swiftgames International, SwiftGames shall pass this information to the Seller or the Selling User from whom the product has been purchased. After that, a procedure of verification if the purchased product is unusable due to being inactive shall be started. 11.6 Because of the User’s ability to return purchased products, SWIFTGAMES INC, Swiftgames.us, Swiftgames.org, Swiftgames International, SwiftGames has the right to withhold moneys paid for the product sold by the Seller (in compliance with the point 5.5 above) for 30 days from the date of the payment reaching SWIFTGAMES INC, Swiftgames.us, Swiftgames.org, Swiftgames International, SwiftGames’s bank account and by the Selling User for 14 days from the date of the payment reaching SWIFTGAMES INC, Swiftgames.us, Swiftgames.org, Swiftgames International, SwiftGames’s bank account, which the Seller and the Selling User agree to. If a product is returned the paid amount shall be returned to the User (the Seller and the Selling User agree to this). 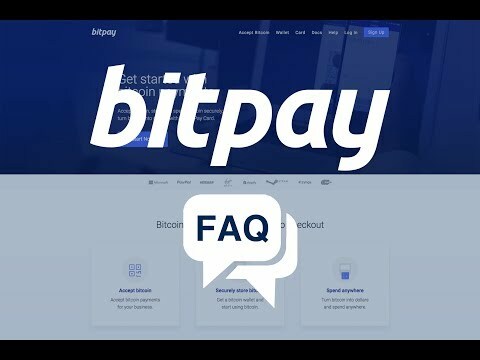 The fee for putting a product on sale via the Site and fees for payouts made by the User or the Seller (specified in the table of fees and commissions) will not be refunded. 10.8 A returned product is sent to the Seller or Selling User and can be sold again within the Service if this product is not defective. 12.1 SWIFTGAMES INC, Swiftgames.us, Swiftgames.org, Swiftgames International, SwiftGames has the right to terminate the agreement. The agreement between the User and SWIFTGAMES INC, Swiftgames.us, Swiftgames.org, Swiftgames International, SwiftGames on providing a teleinformatic platform and certain functions of the Site is concluded for unspecified period of time. 12.2 Termination of the agreement by SWIFTGAMES INC, Swiftgames.us, Swiftgames.org, Swiftgames International, SwiftGames is made through the deletion of User’s account or blocking User’s access to the Site. Removal of the account or blocking User’s access to the Site may be made at anytime after information is sent to the User’s e-mail address regarding the blocking or termination. In case of gross violation of the terms of these Terms and Conditions by the User, SWIFTGAMES INC, Swiftgames.us, Swiftgames.org, Swiftgames International, SwiftGames has the right to terminate it with immediate effect through an immediate removal of User account or blocking his access to the Site. 12.3 Termination of the agreement by the User is made through removal of his account. The User my withdraw from the contract within 14 days from the date the contract was concluded unless the User has already made the offer of sell or purchase of the game account or code. The User may at any time electronically request removal of his account by SWIFTGAMES INC, Swiftgames.us, Swiftgames.org, Swiftgames International, SwiftGames. SWIFTGAMES INC, Swiftgames.us, Swiftgames.org, Swiftgames International, SwiftGames is obliged to remove the account without any delay, no later than within three (3) days from the receipt of the User’s request. After such period the agreement is terminated. 12.4 Termination of the agreement between SWIFTGAMES INC, Swiftgames.us, Swiftgames.org, Swiftgames International, SwiftGames and the Seller can be made with immediate effect at any time. Termination can be in a written form or an e-mail. In the case of extreme violations of this agreement by the Seller, SWIFTGAMES INC, Swiftgames.us, Swiftgames.org, Swiftgames International, SwiftGames has the right to terminate the agreement with immediate effect by removal of the Seller’s account or by blocking the Seller’s access to the Service. 12.5 All transactions between the User and the Seller or between the User and the Selling User or Sellers or between SWIFTGAMES INC, Swiftgames.us, Swiftgames.org, Swiftgames International, SwiftGames the User or Seller during the period of the agreement termination by the Seller or by the Selling User (or the agreement termination by SWIFTGAMES INC, Swiftgames.us, Swiftgames.org, Swiftgames International, SwiftGames) are valid. All payments connected with those transactions will be made during or after the termination of the agreement. The same applies to the situations when the User (or Seller) buys a product from the Seller or the Selling User and the payment wasn’t complete before the termination of the agreement. 12.6 If the termination of the agreement has been made by SWIFTGAMES INC, Swiftgames.us, Swiftgames.org, Swiftgames International, SwiftGames the User or Seller cannot create another Account on the Site without SWIFTGAMES INC, Swiftgames.us, Swiftgames.org, Swiftgames International, SwiftGames’s consent. 12.7 SWIFTGAMES INC, Swiftgames.us, Swiftgames.org, Swiftgames International, SwiftGames has the right to temporarily suspend access to the User’s or Seller’s Account if it’s security is compromised in any way or if significant violations of this agreement or the law (by the User or Seller) are discovered (if SWIFTGAMES INC, Swiftgames.us, Swiftgames.org, Swiftgames International, SwiftGames will not terminate the agreement because of this). Execution of this paragraph’s decisions cannot violate consumer rights. Within the law, SWIFTGAMES INC, Swiftgames.us, Swiftgames.org, Swiftgames International, SwiftGames is not responsible for a temporary lack of access to the User’s or Seller’s Account, especially for the inability to sell products. 13.2 Neither User nor the Seller may not transfer their rights, obligations or claims arising hereof to any third party without prior written consent of SWIFTGAMES INC, Swiftgames.us, Swiftgames.org, Swiftgames International, SwiftGames. The Users and the Sellers hereby consent to and agree that SWIFTGAMES INC, Swiftgames.us, Swiftgames.org, Swiftgames International, SwiftGames may transfer the rights and obligations arising from the agreement between SWIFTGAMES INC, Swiftgames.us, Swiftgames.org, Swiftgames International, SwiftGames and the Sellers and/or the Users to a third party, including the consent to transfer their personal data processed by SWIFTGAMES INC, Swiftgames.us, Swiftgames.org, Swiftgames International, SwiftGames. 13.7 The words User, Seller, Selling User, Customer, Member are all interchangable in any context. 1.1 The use of the Services and/or access to the Site are subject to the terms and conditions contained herein, including the Privacy Rules, the Product Listing Rules and all other terms and conditions in relation to the use and/or operation of the Site that may be published from time to time by SWIFTGAMES INC, Swiftgames.us, Swiftgames.org, Swiftgames International, SwiftGames. This document and all other terms and conditions of the Site are hereinafter generally referred to as “the Regulations”. By using the Site or Services you signify your agreement to be bound by these Regulations. You are requested not to use the Site or any Service if you do not accept the Regulations. 1.2 Users must not use Services and accept the Regulations if they (a) are not of the age to sign a valid agreement with SWIFTGAMES INC, Swiftgames.us, Swiftgames.org, Swiftgames International, SwiftGames or (b) are not permitted to use the Services in accordance with the laws of the Hong Kong Special Administrative Region of the People’s Republic of China (“Hong Kong”) or any other country/region, including the country/region of the User’s residence and where the Services are used. 1.3 Users acknowledge and accept that SWIFTGAMES INC, Swiftgames.us, Swiftgames.org, Swiftgames International, SwiftGames may make any changes to its Site and Services. Such changes will be reflected in the Regulations accordingly. By further using such Site and Services you signify your agreement to be bound by all changes that may affect the User. 1.5 Users may sign with SWIFTGAMES INC, Swiftgames.us, Swiftgames.org, Swiftgames International, SwiftGames or our partners, via the Internet or otherwise, a separate agreement for certain services provided by SWIFTGAMES INC, Swiftgames.us, Swiftgames.org, Swiftgames International, SwiftGames. (Additional Provisions). In case of any conflict or discrepancy between the Regulations and Additional Provisions, the Additional Provisions shall prevail over the Regulations with regard to that specific service(s). 1.6 The Regulations may be amended unilaterally by an authorised person(s) of SWIFTGAMES INC, Swiftgames.us, Swiftgames.org, Swiftgames International, SwiftGames in writing. 2.1 Joining SWIFTGAMES INC, Swiftgames.us, Swiftgames.org, Swiftgames International, SwiftGames and buying items on sale at the Site is free of charge. We charge fees for using Services such as putting items for sale at the Site. Whenever you are putting an item for sale or using other paid Services, you signify your agreement to be charged in accordance with the terms set out in our Pricelist that may be amended from time to time by us. 2.4 The user has to sign in to access and use the the Site. SWIFTGAMES INC, Swiftgames.us, Swiftgames.org, Swiftgames International, SwiftGames reserves its right to restrict access to or suspend the provision of Services (including but not limited to any functions and/or feature of the Site) without prior notice to you in advance. 2.5 Services (or any other functionalities incorporated into the Site) can be different for different countries or regions. No guarantee is given to the effect that a Service or functionality of a certain type or reach will be available for all Users. SWIFTGAMES INC, Swiftgames.us, Swiftgames.org, Swiftgames International, SwiftGames can, at its absolute discretion, restrict, decline or create another level of access relating to the use of Services (or any other functionality incorporated into the Site) for different Users. 2.6 SWIFTGAMES INC, Swiftgames.us, Swiftgames.org, Swiftgames International, SwiftGames has the right to introduce, change or increase the fee for, impose terms and conditions of use, suspend or discontinue any Services (or any functionalities incorporated into a Service/the Site) without prior notice, excluding paid Services. 3.1 Subject to your compliance with the Regulations and your payment of any applicable fees, SWIFTGAMES INC, Swiftgames.us, Swiftgames.org, Swiftgames International, SwiftGames or its content providers grant you a limited, non-exclusive, non-transferable, non-sublicensable licence to access and make personal and non-commercial use of the Services. 3.2 All rights not expressly granted to you in these Conditions of Use or any Service Terms are reserved and retained by SWIFTGAMES INC, Swiftgames.us, Swiftgames.org, Swiftgames International, SwiftGames or its licensors, suppliers, publishers, rights holders, or other content providers. 3.3 You may not misuse the SWIFTGAMES INC, Swiftgames.us, Swiftgames.org, Swiftgames International, SwiftGames Services. You may use the SWIFTGAMES INC, Swiftgames.us, Swiftgames.org, Swiftgames International, SwiftGames Services only as permitted by law. The licenses granted by SWIFTGAMES INC, Swiftgames.us, Swiftgames.org, Swiftgames International, SwiftGames terminate if you do not comply with the Regulations or laws. 3.4 The User agrees to use the Sites and Services for their personal purposes only. The User must not (a) duplicate, copy, download, disseminate, sell, distribute or resell any Services, information, texts, graphics, video clips, sounds, screenplays, files, databases or lists whatsoever available on or via the Sites (Site Content) and (b) duplicate, copy, download, compile or otherwise use for commercial purposes any Site Content that is competitive to SWIFTGAMES INC, Swiftgames.us, Swiftgames.org, Swiftgames International, SwiftGames or use the Site Content in any other commercial way. It is forbidden to retrieve the Site Content systematically to create or compile, either directly or indirectly, a collection, compilation, database and catalogue (by using robots, search engines, automatic or manual devices) without written permission from SWIFTGAMES INC, Swiftgames.us, Swiftgames.org, Swiftgames International, SwiftGames. The use of any content or materials available from the Sites for purposes not specified in the regulations is forbidden. 3.5 The User is obliged to become familiar with SWIFTGAMES INC, Swiftgames.us, Swiftgames.org, Swiftgames International, SwiftGames Personal Information Protection Policy specifying all the details of how to protect and use Users’ personal information that is in possession of SWIFTGAMES INC, Swiftgames.us, Swiftgames.org, Swiftgames International, SwiftGames and our partners. By using the Site or Services you signify your agreement to follow and be bound by the terms and conditions of Personal Information Protection and all applicable rules and policies relating the Personal Information Protection. 3.7 The User agrees that he/she will not take any action to compromise the integrity of computer systems or networks belonging to SWIFTGAMES INC, Swiftgames.us, Swiftgames.org, Swiftgames International, SwiftGames and/or any other User or to obtain unauthorised access to such computer systems or networks. 3.8 The User agrees that he/she will not take any action to compromise the integrity of SWIFTGAMES INC, Swiftgames.us, Swiftgames.org, Swiftgames International, SwiftGames comment system such as posting a positive comment using another member ID or through third parties or posting an unfounded negative comment on any other User. 3.11 Using unauthorized scripts, programs, and manipulating prices by means of unofficial hacks /bots on the platform SWIFTGAMES INC, Swiftgames.us, Swiftgames.org, Swiftgames International, SwiftGames is prohibited and may result in account termination and non-payment of due funds (money) for the goods sold. 4.1 The User has to subscribe/register his/her self to/with the Site to obtain access to and use certain Services. Any User who has completed the subscription/registration may hereinafter also be referred to as “Member”) Unless otherwise permitted by SWIFTGAMES INC, Swiftgames.us, Swiftgames.org, Swiftgames International, SwiftGames, one User should subscribe for and hold one User Account only. SWIFTGAMES INC, Swiftgames.us, Swiftgames.org, Swiftgames International, SwiftGames can close or suspend a User Account if SWIFTGAMES INC, Swiftgames.us, Swiftgames.org, Swiftgames International, SwiftGames reasonably suspects that the User has subscribed to or controls two or more user accounts. SWIFTGAMES INC, Swiftgames.us, Swiftgames.org, Swiftgames International, SwiftGames may reject a User registration application without specifying reasons. 4.2 After subscription to a Site, SWIFTGAMES INC, Swiftgames.us, Swiftgames.org, Swiftgames International, SwiftGames will open an account and assign an ID and password (to be designated by Users during the registration process) to each registered User. The account can include an e-mail functionality with a limited capacity for sending and receiving e-mails. 4.3 The ID and password combination is unique for each account. Each User is personally responsible for keeping secret and safe their own ID and password and for all actions taken as part of their account. Neither User is entitled to share, assign or authorise the use of their account, private ID or password by any other person whatsoever. The User undertakes to advise SWIFTGAMES INC, Swiftgames.us, Swiftgames.org, Swiftgames International, SwiftGames immediately of each unauthorised use of their password or account or any other violation of security rules in their account. 4.5 The User acknowledges that sharing their account with other people or giving access thereto for many people other than the User’s personnel may cause irreversible damage to SWIFTGAMES INC, Swiftgames.us, Swiftgames.org, Swiftgames International, SwiftGames or other Site Users. The User is obliged to protect SWIFTGAMES INC, Swiftgames.us, Swiftgames.org, Swiftgames International, SwiftGames, our partners, officers, personnel, agents and representatives against losses and damage (including non-financial) caused by the use of their account by multiple Users. The User also agrees that if their account is shared by multiple persons or it is impossible to keep it safe, SWIFTGAMES INC, Swiftgames.us, Swiftgames.org, Swiftgames International, SwiftGames will not be held liable for any loss or damage caused by compromising safety and is entitled to suspend or close such a User account without being liable to the User. k) will not become involved in any action that might otherwise render SWIFTGAMES INC, Swiftgames.us, Swiftgames.org, Swiftgames International, SwiftGames or our partners liable. 5.7 The Seller is not entitled to use any Service or member account to carry on any activities identical or similar to SWIFTGAMES INC, Swiftgames.us, Swiftgames.org, Swiftgames International, SwiftGames e-commerce. 5.9 The Seller agrees to provide all necessary information, materials and permissions and all reasonable support and cooperation to SWIFTGAMES INC, Swiftgames.us, Swiftgames.org, Swiftgames International, SwiftGames customer care department for SWIFTGAMES INC, Swiftgames.us, Swiftgames.org, Swiftgames International, SwiftGames to provide its services depending on whether or not the Seller has violated the Regulations and/or a complaint against the User has been filed. If failure to do so is caused by any delay, suspension or denial of access to any Service, SWIFTGAMES INC, Swiftgames.us, Swiftgames.org, Swiftgames International, SwiftGames will not be obliged to extend the term of such a Service or held liable for any los or damage caused by such a delay, suspension or denial. 5.10 The Seller acknowledges and accepts that SWIFTGAMES INC, Swiftgames.us, Swiftgames.org, Swiftgames International, SwiftGames is not obliged to monitor actively or verify the content of any messages, materials or information created, obtained or made available using the Sites or Services. SWIFTGAMES INC, Swiftgames.us, Swiftgames.org, Swiftgames International, SwiftGames does not otherwise support, verify or confirm the content of any comments or information supplied by Users. Each Seller/User is held liable for the content of their correspondence and may be called to account for the content of their comments or any other materials or information. A Community Seller cannot sell more than 3 keys at a time. Once one of the keys is sold, the Seller can add another one to his stock up to the total of 3. The Seller can spread the keys among multiple games/products as long as the total amount of keys does not exceed 3. 6.1 SWIFTGAMES INC, Swiftgames.us, Swiftgames.org, Swiftgames International, SwiftGames reserves the right to remove, modify or reject any User Content posted, published or presented on the Sites that we find to be unlawful, violate the Regulations, make SWIFTGAMES INC, Swiftgames.us, Swiftgames.org, Swiftgames International, SwiftGames or our partners liable or be otherwise inappropriate in the opinion of SWIFTGAMES INC, Swiftgames.us, Swiftgames.org, Swiftgames International, SwiftGames. 6.2 If the User/Seller violates any provision of the Regulations or if SWIFTGAMES INC, Swiftgames.us, Swiftgames.org, Swiftgames International, SwiftGames reasonably believe that it has been violated by any User/Seller, SWIFTGAMES INC, Swiftgames.us, Swiftgames.org, Swiftgames International, SwiftGames is entitled to impose penalty on such User/Seller or suspend or delete the account or discontinue of the use of any Service whatsoever by such User/Seller without being liable therefor to the User/Seller. SWIFTGAMES INC, Swiftgames.us, Swiftgames.org, Swiftgames International, SwiftGames is also entitled to restrict, refuse or ban the existing or future access to the Services provided by SWIFTGAMES INC, Swiftgames.us, Swiftgames.org, Swiftgames International, SwiftGames. Among other things, the penalties that can be imposed by SWIFTGAMES INC, Swiftgames.us, Swiftgames.org, Swiftgames International, SwiftGames include giving of warning; removal of any product or User/Seller Content posted, published or presented by the User/Seller on a Site; restrict more than one product posted or presented by the User/Seller; or restrict any functionality of the Services for the period that SWIFTGAMES INC, Swiftgames.us, Swiftgames.org, Swiftgames International, SwiftGames may find appropriate at their absolute discretion. SWIFTGAMES INC, Swiftgames.us, Swiftgames.org, Swiftgames International, SwiftGames reserves the right to repossess the User’s/Seller’s property (i.e. software activation keys, games, music, e-books) in case of gross violation of any provision of the Regulations. d) SWIFTGAMES INC, Swiftgames.us, Swiftgames.org, Swiftgames International, SwiftGames suspects that actions taken by the User/Seller expose SWIFTGAMES INC, Swiftgames.us, Swiftgames.org, Swiftgames International, SwiftGames, its partners and any other Users to financial losses or may result in making the same liable. 6.4 SWIFTGAMES INC, Swiftgames.us, Swiftgames.org, Swiftgames International, SwiftGames reserves the right to cooperate fully with authorities, private detectives and/or cheated third parties as part of criminal or civil investigations. Furthermore, SWIFTGAMES INC, Swiftgames.us, Swiftgames.org, Swiftgames International, SwiftGames may disclose the User’s/Seller’s identity and contact details to any aggrieved third party when requested to do so by authorities or any other law enforcement body or subject to a judicial injunction or otherwise. SWIFTGAMES INC, Swiftgames.us, Swiftgames.org, Swiftgames International, SwiftGames will not be held liable for the damage caused by such disclosure and the Member agrees not to take any legal action or raise any claim against SWIFTGAMES INC, Swiftgames.us, Swiftgames.org, Swiftgames International, SwiftGames. 6.5 If the Member is in breach of the Regulations, SWIFTGAMES INC, Swiftgames.us, Swiftgames.org, Swiftgames International, SwiftGames also reserves the right to report such breach on the Sites. If such breach involves any unfair or unlawful conduct, SWIFTGAMES INC, Swiftgames.us, Swiftgames.org, Swiftgames International, SwiftGames also reserves the right to disclose such breach to our partners, including without limitations, etc. SWIFTGAMES INC, Swiftgames.us, Swiftgames.org, Swiftgames International, SwiftGames partners may restrict, suspend or bar access to all or any part of the services provided by such partners, take any other remedial measures and publish the User’s/Seller’s breach of the regulations on the sites operated or controlled by SWIFTGAMES INC, Swiftgames.us, Swiftgames.org, Swiftgames International, SwiftGames partners. 6.6 Each User/Seller agrees to indemnify and hold harmless SWIFTGAMES INC, Swiftgames.us, Swiftgames.org, Swiftgames International, SwiftGames, our partners, officers, personnel, agents and representatives from and against any losses, damage, claims or liabilities (including legal costs incurred to claim full compensation) that may result from your posting, publication or presentation of any User Content, from the use of the Sites or Services or from the violation of Regulations. 6.7 Each User/Seller recognises that SWIFTGAMES INC, Swiftgames.us, Swiftgames.org, Swiftgames International, SwiftGames will not be held liable or obliged to you or whomever else for any User Content or other materials presented on the Sites, including those that are illegal, false, misleading, inappropriate, libellous, offensive or prohibited, and that the risk of damage caused by such materials is borne only by each User/Seller separately. SWIFTGAMES INC, Swiftgames.us, Swiftgames.org, Swiftgames International, SwiftGames reserves the right to assume, at our expense, full control and defence of any case other than indemnity for a member. In such an event the Member will cooperate with SWIFTGAMES INC, Swiftgames.us, Swiftgames.org, Swiftgames International, SwiftGames in claiming any defence. 6.8 SWIFTGAMES INC, Swiftgames.us, Swiftgames.org, Swiftgames International, SwiftGames reserves its right not to accept any returns of already delivered items/game keys. 7.1 On the Sites SWIFTGAMES INC, Swiftgames.us, Swiftgames.org, Swiftgames International, SwiftGames provides electronic online platforms to exchange information between buyers and sellers of products and services. In addition, SWIFTGAMES INC, Swiftgames.us, Swiftgames.org, Swiftgames International, SwiftGames provides Users/Sellers with online platforms to post, accept, place, manage and execute orders subject to the terms and conditions of services contained in SWIFTGAMES INC, Swiftgames.us, Swiftgames.org, Swiftgames International, SwiftGames Transaction Services Agreement. Nonetheless, SWIFTGAMES INC, Swiftgames.us, Swiftgames.org, Swiftgames International, SwiftGames make no representation to the seller or the buyer in relation to any Services. SWIFTGAMES INC, Swiftgames.us, Swiftgames.org, Swiftgames International, SwiftGames does not control, is not obliged to ensure, and cannot be held liable for the quality, safety, lawfulness or availability of any product or service offered for sale on the Sites, nor for the Seller’s ability to sell or the buyer’s ability to buy. 7.2 Users/Sellers acknowledge that engaging in transactions on the Site involves the risk of dealing with abusive people. SWIFTGAMES INC, Swiftgames.us, Swiftgames.org, Swiftgames International, SwiftGames uses its reasonable endeavours to verify the accuracy of the data and information provided by our Users/Sellers during the registration process. However, as the identity of Internet users is difficult to verify, SWIFTGAMES INC, Swiftgames.us, Swiftgames.org, Swiftgames International, SwiftGames is unable to confirm and does not confirm the alleged identity of Users (including but not limited to Sellers). We recommend you to use various means, including common sense, to assess who you going to deal with. 7.3 Each User/Seller recognises that they are fully aware of the risk related to buying and selling via the Sites and Services as well as that of claims or damage that might arise in connection with continuous online dealing. This risk includes but is not limited to the misrepresentation of products and services, illegal acts, poor quality, failure to meet the required specifications, defective or hazardous products, illegal products, delays or erroneous delivery or payment, incorrect cost calculation, warranty problems and accidents during transports. Such risk also involves the fact that the manufacturing, import, export, distribution, offering, presentation, sale and/or use of products offered and presented on the Sites may infringe or be deemed to infringe any third party rights, which entails the User’s risk of incurring further costs of defence or any other costs related to third party claims, as well as those in connection with any other claims raised by third parties entitled to defence or indemnity in connection with their claims, demands or proceedings initiated by them with regard to any third party rights. Such risk may also concern the fact that consumers or any other buyers, end users of products or other persons whatsoever may claim to suffer from injuries or damage caused by products originally purchased by Site Users as a result of any purchase transaction and/or raise claims based on their use of such products. All such risks are hereinafter referred to as “Transaction Risk”. Each User accepts the fact that SWIFTGAMES INC, Swiftgames.us, Swiftgames.org, Swiftgames International, SwiftGames cannot be held liable for any damage, claims, costs, harm, inconvenience, business disruptions or expenses that is arising from and/or incidental to any Transaction Risk. 7.5 The User/Seller agrees to provide all necessary information and documents that may be required by SWIFTGAMES INC, Swiftgames.us, Swiftgames.org, Swiftgames International, SwiftGames in connection with transactions conducted on, via or as a result of using the Services. SWIFTGAMES INC, Swiftgames.us, Swiftgames.org, Swiftgames International, SwiftGames is entitled to suspend or remove the User’s/Seller’s account if the latter fails to provide any required information or materials in a timely manner. 8.1 To the fullest extent permitted by law, all Services provided by SWIFTGAMES INC, Swiftgames.us, Swiftgames.org, Swiftgames International, SwiftGames on or via the Sites are made available on an AS IS, IF AVAILABLE, and WITH ALL DEFECTS basis”, and SWIFTGAMES INC, Swiftgames.us, Swiftgames.org, Swiftgames International, SwiftGames hereby expressly declines all warranties, including but not limited to any warranty of condition, quality, durability, functioning, reliability, merchantability or suitability for any specific purpose. All warranties, representations, conditions or undertakings are hereby excluded. 8.2 To the fullest extent permitted by law, SWIFTGAMES INC, Swiftgames.us, Swiftgames.org, Swiftgames International, SwiftGames does not make any representation or give any warranty in relation to the validity, accuracy, correctness, reliability, quality, stability, completeness or commonness of any information provided on or via the Sites. SWIFTGAMES INC, Swiftgames.us, Swiftgames.org, Swiftgames International, SwiftGames does not represent or warrant that the manufacturing, import, export, distribution, offering, presentation, purchase, sale and/or use of any products or services offered on the Sites is free from infringement of any third party rights, nor does SWIFTGAMES INC, Swiftgames.us, Swiftgames.org, Swiftgames International, SwiftGames make any representation or give any warranty in relation to any of the Services offered or presented on the Sites in any aspect. 8.3 Each User/Seller shall be personally responsible for his/her act of downloading or otherwise obtaining any material from and/or via the Website, and the User/Seller will be held liable forall loss and/or damages that may be caused to SWIFTGAMES INC, Swiftgames.us, Swiftgames.org, Swiftgames International, SwiftGames as a result of and/or incidental to any downloaded material. No information or advice, provided either orally or in writing, that can be obtained by the User/Seller from SWIFTGAMES INC, Swiftgames.us, Swiftgames.org, Swiftgames International, SwiftGames or from/via the Site should not be deemed to be any warranty or representation of whatsoever nature. 8.4 The Sites can give the User access to services or products provided by independent third parties. No warranty or representation is given in relation to such services or products in any aspect. In no event can SWIFTGAMES INC, Swiftgames.us, Swiftgames.org, Swiftgames International, SwiftGames or our partners be held liable for such services or products. 8.5 Each User/Seller agrees to indemnify and hold harmless SWIFTGAMES INC, Swiftgames.us, Swiftgames.org, Swiftgames International, SwiftGames, our partners, management, officers, and personnel from and against any losses, damage or claims (including legal costs incurred therefrom) that may occur as a result of any use of the Sites or Services by the User (including the information published by the User/Seller on the Sites) or violation any of the terms and conditions of the Regulations. Each User/Seller agrees to indemnify and hold harmless SWIFTGAMES INC, Swiftgames.us, Swiftgames.org, Swiftgames International, SwiftGames, our partners, management, officers, and personnel from and against any losses, damage or claims (including legal costs incurred therefrom) that may occur as a result of any warranty infringement or complaints filed by the User against SWIFTGAMES INC, Swiftgames.us, Swiftgames.org, Swiftgames International, SwiftGames, including those specified in section 5. 8.7 Notwithstanding the foregoing, the total liability of SWIFTGAMES INC, Swiftgames.us, Swiftgames.org, Swiftgames International, SwiftGames, our personnel, agents, partners, representatives and all persons acting on our behalf for all claims arising from the use of our Sites or Services throughout the entire calendar year is limited in respect of each User/Seller to (a) the total fees paid by Users/Sellers to SWIFTGAMES INC, Swiftgames.us, Swiftgames.org, Swiftgames International, SwiftGames or our partners within a calendar year or (b) HK$1,000, whichever is lower. The foregoing sentence does not waive the need to prove the respective damage alleged to be sustained by the User/Seller. All claims arising from the use of the Sites or Services have to be raised within three (3) months after the date on which a problem occurs. 8.8 The limitations and exclusions of liability under the Regulations refer to the fullest extent permitted by law and will be effective regardless of giving notice to SWIFTGAMES INC, Swiftgames.us, Swiftgames.org, Swiftgames International, SwiftGames that such damage may occur. 9.1 In no event can SWIFTGAMES INC, Swiftgames.us, Swiftgames.org, Swiftgames International, SwiftGames be held responsible for any delay, interruption or error of the content or service provided via the Sites if caused, either directly or indirectly, by forces of nature, agents beyond our reasonable control, including failures of the Internet, computer hardware, telecommunications or any other equipment, blackouts, strikes, labour actions, riots, insurrections, civil commotion, labour or material shortages, fire, flood, storms, explosions, acts of God, war, government acts, court or tribunal orders or third party negligence. 10.1 SWIFTGAMES INC, Swiftgames.us, Swiftgames.org, Swiftgames International, SwiftGames is the sole owner and legal licensor of all the rights and interests to the Sites and their Content. The Sites and their Content contain business secrets and other intellectual property protected by international copyright and other laws. All the titles, ownership and intellectual property rights to the Sites and their Content remain with SWIFTGAMES INC, Swiftgames.us, Swiftgames.org, Swiftgames International, SwiftGames and our partners. All rights to any claim under the Regulations or raised by SWIFTGAMES INC, Swiftgames.us, Swiftgames.org, Swiftgames International, SwiftGames are reserved in this case. 10.2 SWIFTGAMES INC, Swiftgames.us, Swiftgames.org, Swiftgames International, SwiftGames and related icons and logos are registered trademarks or trademarks of SWIFTGAMES INC, Swiftgames.us, Swiftgames.org, Swiftgames International, SwiftGames Limited and SWIFTGAMES INC, Swiftgames.us, Swiftgames.org, Swiftgames International, SwiftGamess, related icons and logos are registered trademarks or trademarks and service marks of SWIFTGAMES INC, Swiftgames.us, Swiftgames.org, Swiftgames International, SwiftGames Limited in various jurisdictions and are protected by the relevant copyrights, trademark or other intellectual property rights. Unauthorised copying, modification, use and publication of such trademarks is prohibited. 10.3 SWIFTGAMES INC, Swiftgames.us, Swiftgames.org, Swiftgames International, SwiftGames may cooperate with independent third parties involved in the provision of Services (e.g. service provider confirmation and verification). It is forbidden to use any trademark, service mark or logo belonging to any third party without prior permission from such a party. Sellers have to be notified of SWIFTGAMES INC, Swiftgames.us, Swiftgames.org, Swiftgames International, SwiftGames cost return policy in writing. Sellers agree that SWIFTGAMES INC, Swiftgames.us, Swiftgames.org, Swiftgames International, SwiftGames may debit buyer refunds to their accounts. Sellers need to contact SWIFTGAMES INC, Swiftgames.us, Swiftgames.org, Swiftgames International, SwiftGames to change this method. However, we still reserve the right to use the seller’s credit in connection with SWIFTGAMES INC, Swiftgames.us, Swiftgames.org, Swiftgames International, SwiftGames Buyer Protection Policy. If the credit on a SWIFTGAMES INC, Swiftgames.us, Swiftgames.org, Swiftgames International, SwiftGames account turns out to be insufficient, we will require that another seller refund method is selected. A change of the refund method will not affect the way in which SWIFTGAMES INC, Swiftgames.us, Swiftgames.org, Swiftgames International, SwiftGames will charge fees on files or for any other purpose (such as commission fees payable to SWIFTGAMES INC, Swiftgames.us, Swiftgames.org, Swiftgames International, SwiftGames). If the seller does not provide a method for refunds to SWIFTGAMES INC, Swiftgames.us, Swiftgames.org, Swiftgames International, SwiftGames, we may recover any sums payable to us through other payment mechanisms, including collection agencies. We may also suspend or restrict such a seller’s access to our Sites until payment is made. 11.2 We reserve the right to correct all errors that we may encounter. We will correct all obvious errors by charging the seller’s account or crediting the payment method used to make an erroneous refund under SWIFTGAMES INC, Swiftgames.us, Swiftgames.org, Swiftgames International, SwiftGames Buyer Protection Policy. 11.3 SWIFTGAMES INC, Swiftgames.us, Swiftgames.org, Swiftgames International, SwiftGames reserves the right to not accept reports of used keys/gifts acquired from wholesale purchases, submitted later than 30 days from the transaction. 12.1 All legal notices or requests addressed to SWIFTGAMES INC, Swiftgames.us, Swiftgames.org, Swiftgames International, SwiftGames should be sent in writing to SWIFTGAMES INC, Swiftgames.us, Swiftgames.org, Swiftgames International, SwiftGames personally, by door-to-door service or by post to the following address: SWIFTGAMES INC, Swiftgames.us, Swiftgames.org, Swiftgames International, SwiftGames Limited. Notices will be accepted once they have been received by SWIFTGAMES INC, Swiftgames.us, Swiftgames.org, Swiftgames International, SwiftGames in one of the forms indicated above. 12.3 The User agrees that all arrangements, notices, requests, disclosures and any other communications to be sent by SWIFTGAMES INC, Swiftgames.us, Swiftgames.org, Swiftgames International, SwiftGames electronically will meet the legal requirements for serving such communications in writing. 13.1 Unless otherwise stipulated in the Additional Arrangements, the Regulations constitute the entire agreement between you and SWIFTGAMES INC, Swiftgames.us, Swiftgames.org, Swiftgames International, SwiftGames in respect of your managing and using the Sites and Services and supersede all previous agreements, either oral or in writing, regarding the same subject. 13.2 SWIFTGAMES INC, Swiftgames.us, Swiftgames.org, Swiftgames International, SwiftGames and the User are independent contractors and no agency, partnership, joint venture, employment or franchise between them are stipulated in the Regulations. 13.5 The unenforceability of any right SWIFTGAMES INC, Swiftgames.us, Swiftgames.org, Swiftgames International, SwiftGames may have or its waiver of any violation against the provisions of the Regulations do not constitute a waiver of the claim to enforce such a right or a waiver by SWIFTGAMES INC, Swiftgames.us, Swiftgames.org, Swiftgames International, SwiftGames of its right to claim such enforcement in respect of subsequent or similar violations. 13.6 SWIFTGAMES INC, Swiftgames.us, Swiftgames.org, Swiftgames International, SwiftGames is entitled to lay down the provisions of the Regulations (including all our rights, titles, benefits, interests, duties and obligations in the Regulations) in respect of every person or entity (including SWIFTGAMES INC, Swiftgames.us, Swiftgames.org, Swiftgames International, SwiftGames partners). You may be required to register with the Site. You agree to keep your password confidential and will be responsible for all use of your account and password. We reserve the right to remove, reclaim, or change a usemame you select if we determine, in our sole discretion, that such usemame is inappropriate, obscene, or otherwise objectionable. We make every effort to display as accurately as possible the colors, features, specifications, and details of the products available on the Site. However, we do not guarantee that the colors, features, specifications, and details of the products will be accurate, complete, reliable, current, or free of other errors, and your electronic display may not accurately reflect the actual colors and details of the products. All products are subject to availability, and we cannot guarantee that items will be in stock. We reserve the rioht to discontinue any products at any time for any reason. Prices for all products are subject to change. RETURN/REFUNDS POLICY Please review our Return Policy posted on the Site prior to making any purchases. PROHIBITED ACTIVITIES You may not access or use the Site for any purpose other than that for which we make the Site available. The Site may not be used in connection with any commercial endeavors except those that are specifically endorsed or approved by us. As part of the functionality of the Site, you may link your account with online accounts you have with third-party service providers (each such account, a “Third-Party Account’) by either (1) providing your Third-Party Account login information through the Site; or (2) allowing us to access your Third-Party Account, as is permitted under the applicable terms and conditions that govern your use of each Third-Party Account. You represent and warrant that you are entitled to disclose your Third-Party Account login information to us and/or grant us access to your Third-Party Account, without breach by you of any of the terms and conditions that govem your use of the applicable Third-Party Account, and without obligating us to pay any fees or making us subject to any usage limitations imposed by the third-party service provider of the Third-Party Account. By granting us access to any Third-Party Accounts, you understand that (1) we may access, make available, and store (if applicable) any content that you have provided to and stored in your Third-Party Account (The “Social Network Content’) so that it is available on and through the Site via your account, including without limitation any friend lists and (2) we may submit to and receive from your Third-Party Account additional information to the extent you are notified when you link your account with the Third-Party Account. Depending on the Third-Party Accounts you choose and subject to the privacy settings that you have set in such Third-Party Accounts, personally identifiable information that you post to your Third-Party Accounts may be available on and Through your account on the Site. Please note that if a Third-Party Account or associated service becomes unavailable or our access to such Third-Party Account is terminated by the third-party service provider, then Social Network Content may no longer be available on and through the Site. You will have the ability to disable the connection between your account on the Site and your Third-Party Accounts at any time. PLEASE NOTE THAT YOUR RELATIONSHIP WITH THE THIRD-PARTY SERVICE PROVIDERS ASSOCIATED WITH YOUR THIRD-PARTY ACCOUNTS IS GOVERNED SOLELY BY YOUR AGREEMENT(S) WITH SUCH THIRD-PARTY SERVICE PROVIDERS. We make no effort to review any Social Network Content for any purpose, including but not limited to, for accuracy, legality, or non-infringement, and we are not responsible for any Social Network Content. 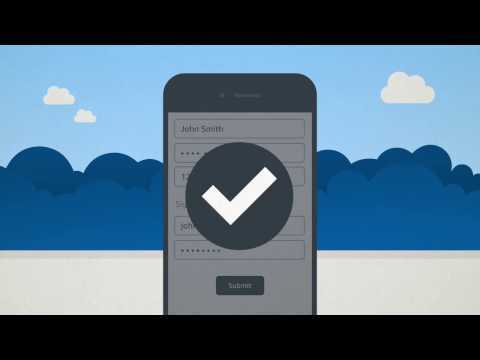 You acknowledge and agree that we may access your email address book associated with a Third-Party Account and your contacts list stored on your mobile device or tablet computer solely for purposes of identifying and informing you of those contacts who have also registered to use the Site. You can deactivate the connection between the Site and your Third-Party Account by contacting us using the contact information below or through your account settings (if applicable). We will attempt to delete any information stored on our servers that was obtained through such Third-Party Account, except the usemame and profile picture that become associated with your account. We respect the intellectual property rights of others. If you believe that any material available on or through the Site inffinges upon any copyright you own or control, please immediately notify us using the contact information provided below (a “Notification”). A copy of your Notification will be sent to the person who posted or stored the material addressed in the Notification. Please be advised that pursuant to federal law you may be held liable for damages if you make material misrepresentations in a Notification. Thus, if you are not sure that material located on or linked to by the Site infringes your copyright, you should consider first contacting an attorney. We reserve the right to change, modify, or remove the contents of the Site at any time or for any reason at our sole discretion without notice. However, we have no obligation to update any information on our Site We also reserve the right to modify or discontinue all or part of the Marketplace Offerings without notice at any time. We will not be liable to you or any third party for any modification, price change, suspension, or discontinuance of the Site or the Marketplace Offerings. If the Parties are unable to resolve a Dispute through informal negotiations, the Dispute (except those Disputes expressly excluded below) will be finally and exclusively resolved by binding arbitration. YOU UNDERSTAND THAT WITHOUT THIS PROVISION, YOU WOULD HAVE THE RIGHT TO SUE IN COURT AND HAVE A JURY TRIAL. The arbitration shall be commenced and conducted under the Commercial Arbitration Rules of the American Arbitration Association (“MA”) and, where appropriate, the AAA’s Supplementary Procedures for Consumer Related Disputes (“AAA Consumer Rules”), both of which are available at the MA website www.adrorg. Your arbitration fees and your share of arbitrator compensation shall be governed by the W Consumer Rules and, where appropriate, limited by the W Consumer Rules. The arbitration may be conducted in person, through the submission of documents, by phone, or online. The arbitrator will make a decision in writing, but need not provide a statement of reasons unless requested by either Party. The arbitrator must follow applicable law, and any award may be challenged if the arbitrator fails to do so. Except where otherwise required by the applicable AAA rules or applicable law, the arbitration will take place in United States County, Florida. Except as otherwise provided herein, the Parties may litigate in court to compel arbitration, stay proceedings pending arbitration, or to confirm, modify, vacate, or enter judgment on the award entered by the arbitrator. In no event shall any Dispute brought by either Party related in any way to the Site be commenced more than one (1) years after the cause of action arose. If this provision is found to be illegal or unenforceable, Men neither Party will elect to arbitrate any Dispute falling within that portion of this provision found to be illegal or unenforceable and such Dispute shall be decided by a court of competent jurisdiction within the courts listed for jurisdiction above, and the Parties agree to submit to the personal jurisdiction of that court. THE SITE IS PROVIDED ON AN AS-IS AND AS-AVAILABLE BASIS. YOU AGREE THAT YOUR USE OF THE SITE SERVICES WILL BE AT YOUR SOLE RISK. TO THE FULLEST EXTENT PERMITTED BY LAW, WE DISCLAIM ALL WARRANTIES, EXPRESS OR IMPLIED, IN CONNECTION WITH THE SITE AND YOUR USE THEREOF, INCLUDING, WITHOUT LIMITATION, THE IMPLIED WARRANTIES OF MERCHANTABILITY, FITNESS FOR A PARTICULAR PURPOSE, AND NON-INFRINGEMENT. WE MAKE NO WARRANTIES OR REPRESENTATIONS ABOUT THE ACCURACY OR COMPLETENESS OF THE SITES CONTENT OR THE CONTENT OF ANY WEBSITES LINKED TO THIS SITE AND WE WILL ASSUME NO LIABILITY OR RESPONSIBILITY FOR ANY (1) ERRORS, MISTAKES, OR INACCURACIES OF CONTENT AND MATERIALS, (2) PERSONAL INJURY OR PROPERTY DAMAGE, OF ANY NATURE WHATSOEVER, RESULTING FROM YOUR ACCESS TO AND USE OF THE SITE, (3) ANY UNAUTHORIZED ACCESS TO OR USE OF OUR SECURE SERVERS AND/OR ANY AND ALL PERSONAL INFORMATION AND/OR FINANCIAL INFORMATION STORED THEREIN, (4) ANY INTERRUPTION OR CESSATION OF TRANSMISSION TO OR FROM THE SITE, (5) ANY BUGS, VIRUSES, TROJAN HORSES, OR THE LIKE WHICH MAY BE TRANSMITTED TO OR THROUGH THE SITE BY ANY THIRD PARTY, AND/OR (6) ANY ERRORS OR OMISSIONS IN ANY CONTENT AND MATERIALS OR FOR ANY LOSS OR DAMAGE OF ANY KIND INCURRED AS A RESULT OF THE USE OF ANY CONTENT POSTED, TRANSMITTED, OR OTHERWISE MADE AVAILABLE VIA THE SITE. WE DO NOT WARRANT, ENDORSE, GUARANTEE, OR ASSUME RESPONSIBILITY FOR ANY PRODUCT OR SERVICE ADVERTISED OR OFFERED BY A THIRD PARTY THROUGH THE SITE, ANY HYPERLINKED WEBSITE, OR ANY WEBSITE OR MOBILE APPLICATION FEATURED IN ANY BANNER OR OTHER ADVERTISING, AND WE WILL NOT BE A PARTY TO OR IN ANY WAY BE RESPONSIBLE FOR MONITORING ANY TRANSACTION BETWEEN YOU AND ANY THIRD-PARTY PROVIDERS OF PRODUCTS OR SERVICES. AS WITH THE PURCHASE OF A PRODUCT OR SERVICE THROUGH ANY MEDIUM OR IN ANY ENVIRONMENT, YOU SHOULD USE YOUR BEST JUDGMENT AND EXERCISE CAUTION WHERE APPROPRIATE. IN NO EVENT WILL WE OR OUR DIRECTORS, EMPLOYEES, OR AGENTS BE LIABLE TO YOU OR ANY THIRD PARTY FOR ANY DIRECT, INDIRECT, CONSEQUENTIAL, EXEMPLARY, INCIDENTAL, SPECIAL, OR PUNITIVE DAMAGES, INCLUDING LOST PROFIT, LOST REVENUE, LOSS OF DATA, OR OTHER DAMAGES ARISING FROM YOUR USE OF THE SITE, EVEN IF WE HAVE BEEN ADVISED OF THE POSSIBILITY OF SUCH DAMAGES. NOTWITHSTANDING ANYTHING TO THE CONTRARY CONTAINED HEREIN, OUR LIABILITY TO YOU FOR ANY CAUSE WHATSOEVER AND REGARDLESS OF THE FORM OF THE ACTION, WILL AT ALL TIMES BE LIMITED TO THE AMOUNT PAID, IF ANY, BY YOU TO US DURING THE ONE (1) MONTH PERIOD PRIOR TO ANY CAUSE OF ACTION ARISING . CERTAIN STATE LAWS DO NOT ALLOW LIMITATIONS ON IMPLIED WARRANTIES OR THE EXCLUSION OR LIMITATION OF CERTAIN DAMAGES. IF THESE LAWS APPLY TO YOU, SOME OR ALL OF THE ABOVE DISCLAIMERS OR LIMITATIONS MAY NOT APPLY TO YOU. AND YOU MAY HAVE ADDITIONAL RIGHTS. Visiting the Site, sending us emails, and completing online forms constitute electronic communications. You consent to receive electronic communications, and you agree that all agreements, notices, disclosures, and other communications we provide to you electronically, via email and on the Site, satisfy any legal requirement that such communication be in writing. YOU HEREBY AGREE TO THE USE OF ELECTRONIC SIGNATURES CONTRACTS, ORDERS, AND OTHER RECORDS, AND TO ELECTRONIC DELIVERY OF NOTICES, POLICIES, AND RECORDS OF TRANSACTIONS INITIATED OR COMPLETED BY US OR VIA THE SITE. You hereby waive any rights or requirements under any statutes, regulations, rules, ordinances, or other laws in any jurisdiction which require an original signature or delivery or retention of non-electronic records, or to payments or the granting cf credits by any means other than electronic means. If any complaint with us is not satisfactorily resolved, you can contact the Complaint Assistance Unit of the Division of Consumer Services of the California Department of Consumer Affairs in writing at 1625 North Market Blvd., Suite N 112, Sacramento California 95834 or by telephone at (800) 952-5210 or (916) 445-1254.